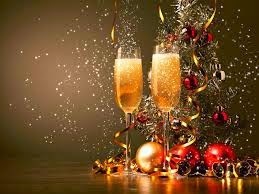 Happy New Year all, we hope you have all had a fabulous time. 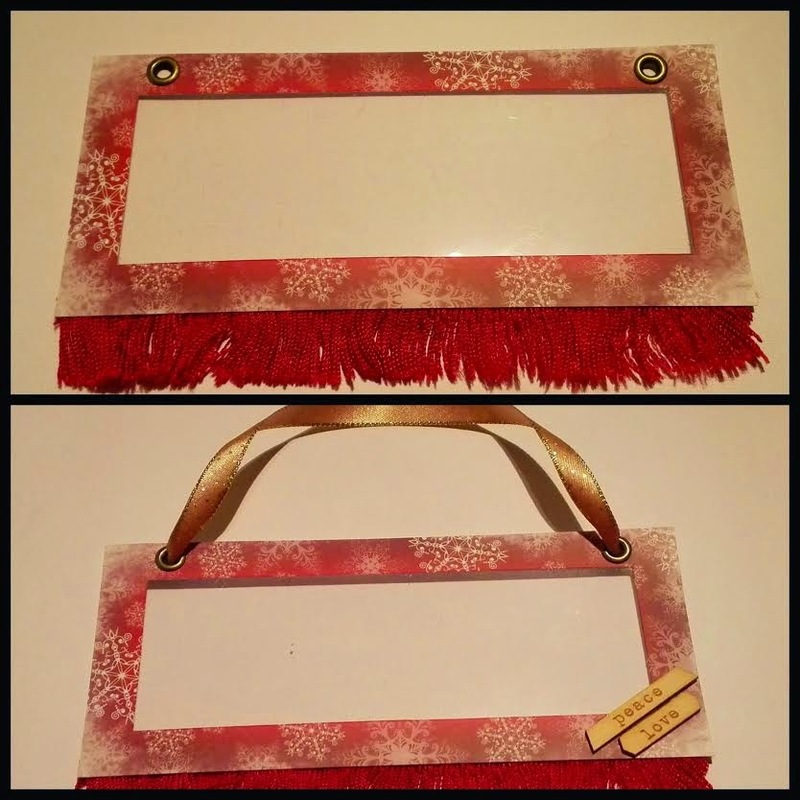 Today we are sharing Noelia's festive door hanger tutorial. 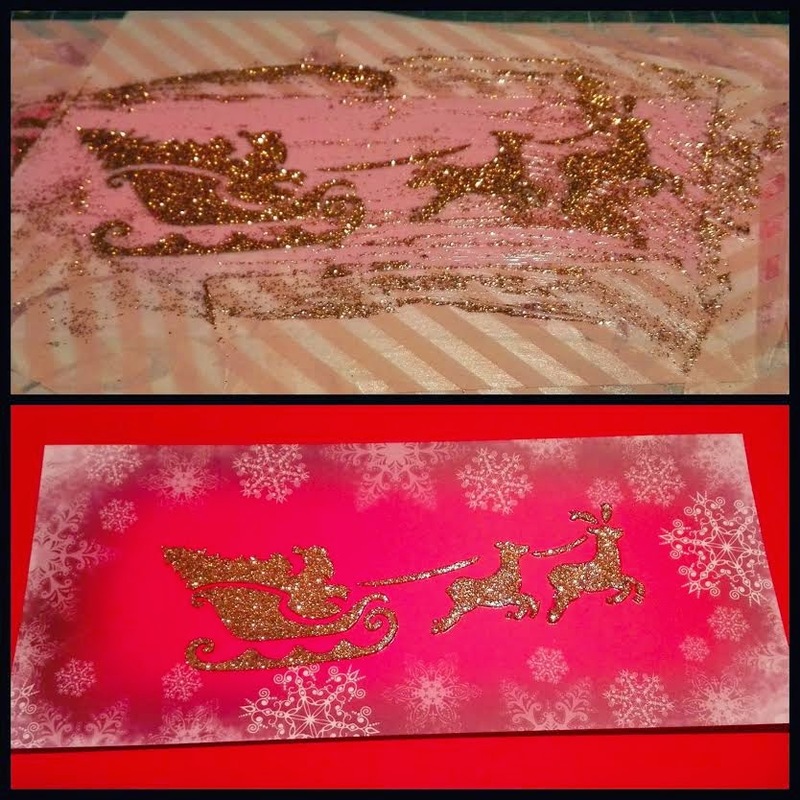 Place the stencil over the panel card and tape down using Gold Shine Sparkle Medium. Remove stencil and let it dry. 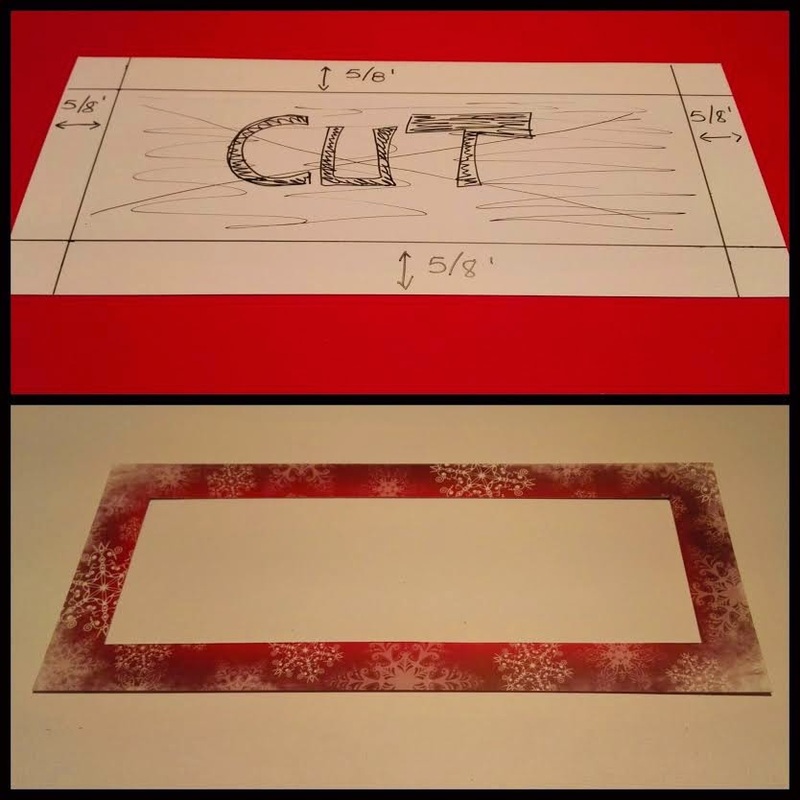 Get another panel card, draw a window of 5/8 inch in the White side. Cut this window and put a sheet of acetate in its place. 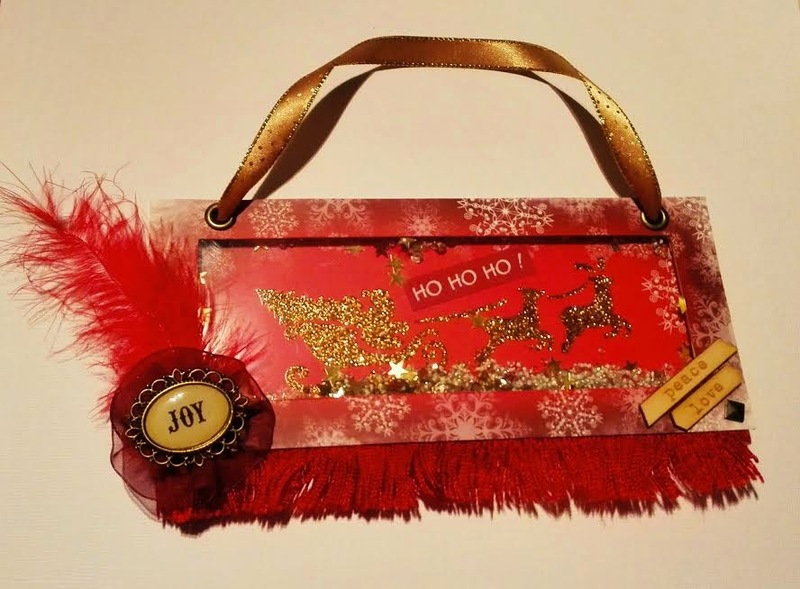 Place Santa panel card over. Close it and decorate with stickers, ribbon, flowers. feather or buttons!! 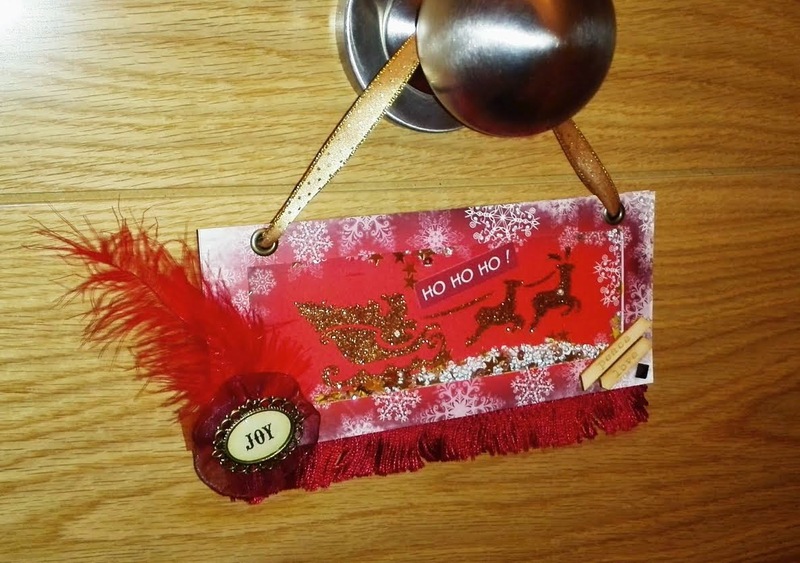 Finally, hang on your home door!! Thank you for visiting and enjoy your Weekend. We look forward to sharing more ideas and inspiration with you during the coming year! We hope that you have all had a wonderful Christmas and that we only have a few days left of 2014. 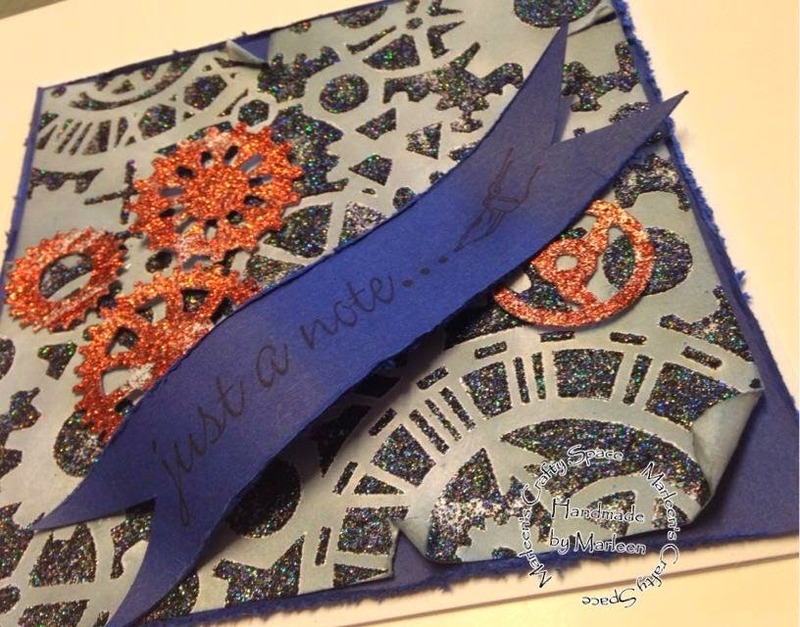 It sure has been a very busy year at Imagination Crafts and looking forward to seeing what 2015 bring us. Today we are sharing another of our new design team members tutorial. 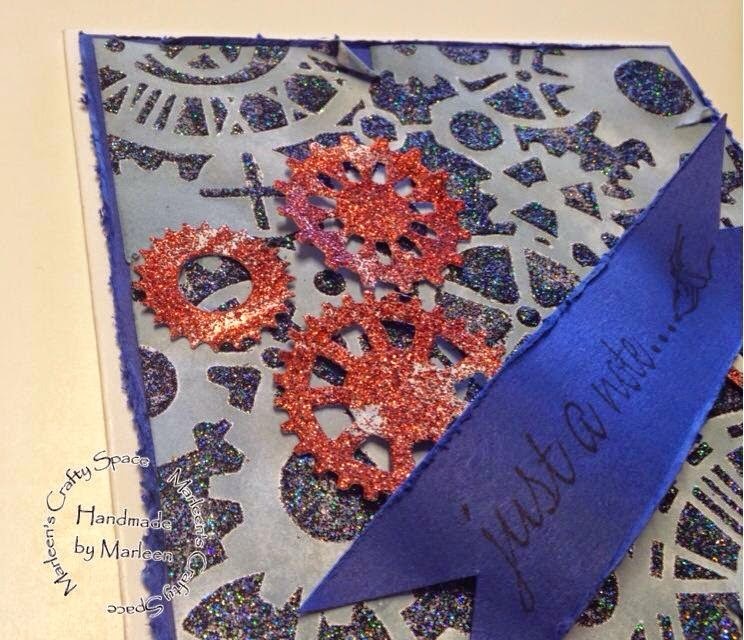 Marleen has made a beautiful steampunk card. 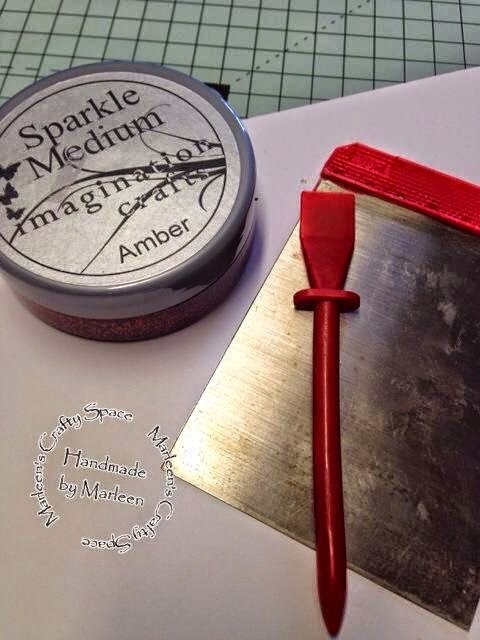 Start by putting a big blob of sparkle medium onto a scraper and spreading it out. 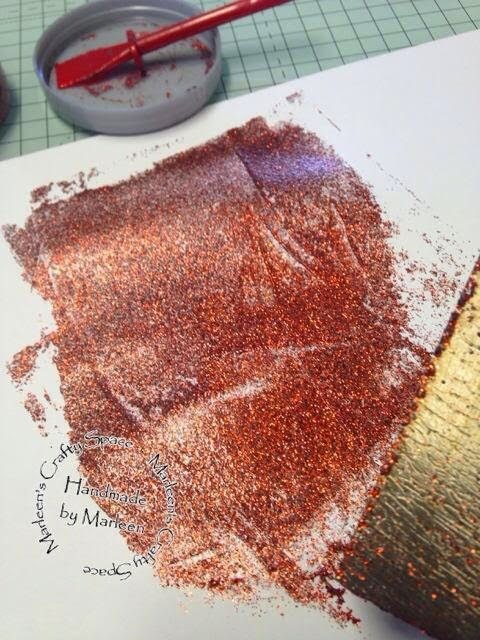 Then smear it over the card stock, trying to get an even coat. To enable the white card to show through only give it a thin coat. A thicker coat can be applied if desired, drying time just takes longer. 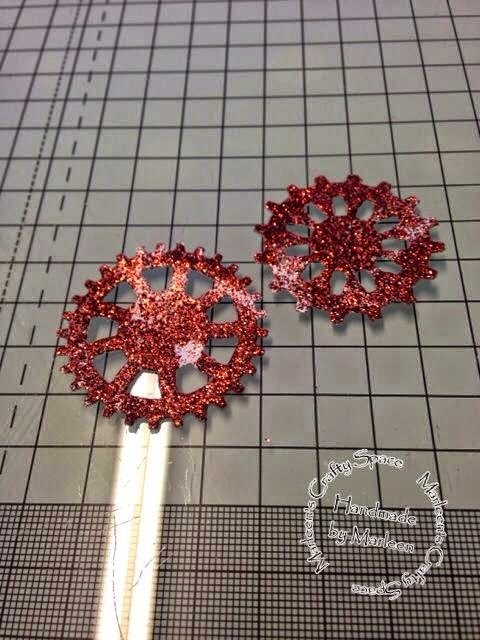 And VOILA.. Glittered cogs MADE!! 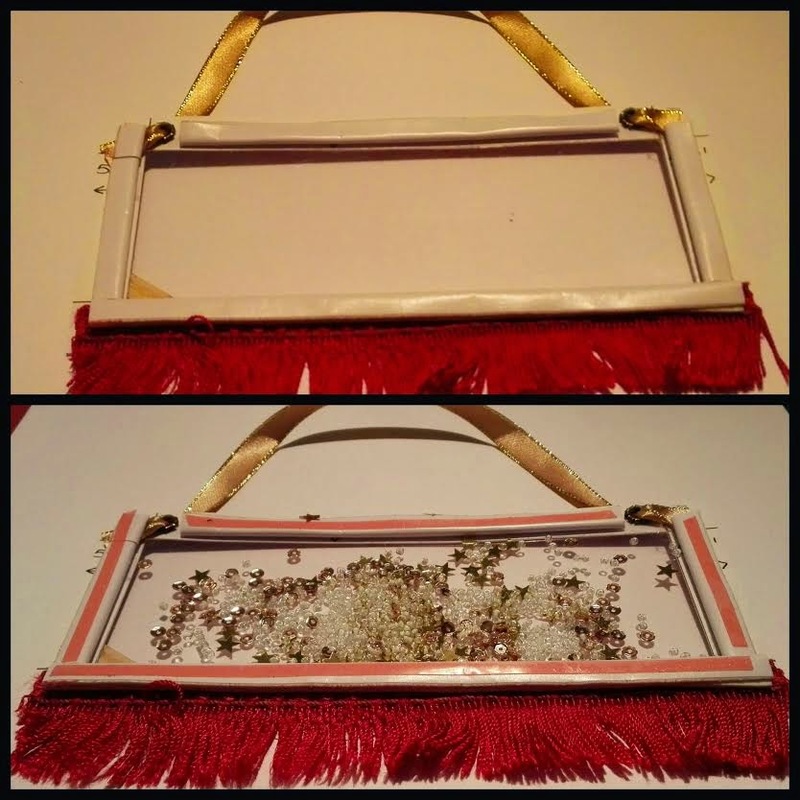 Marleen has found that this way of making glittered embellishments really easy, and by doing this, means that all her dies have now gotten another lease of life. Think glittered butterflies or swirls?? Or glittered siluhettes??? 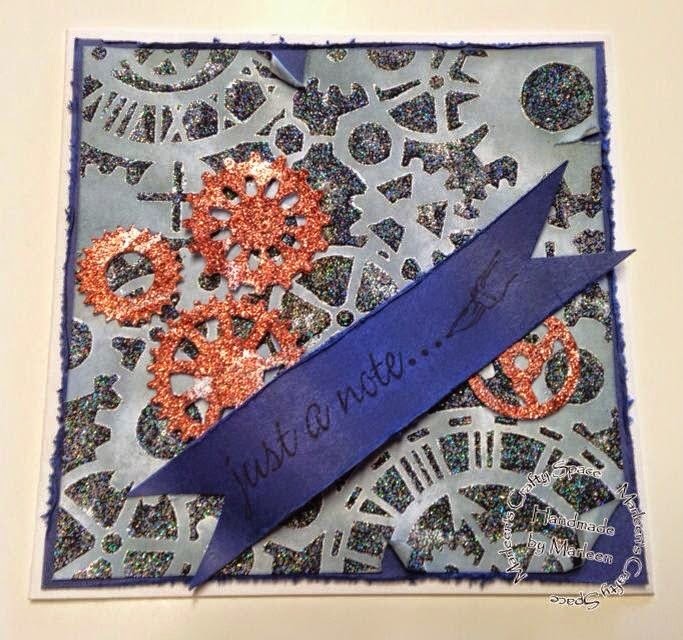 Using the Black Star Sparkle medium and the Time & Elements stencil. 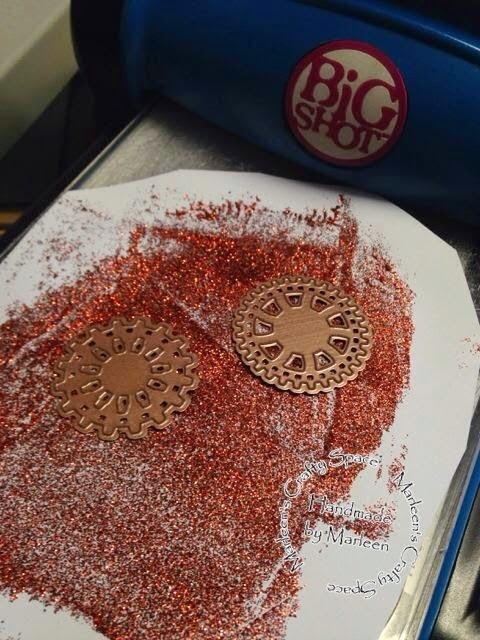 Once sparkle medium was dry distress with weathered wood distress ink and layered up with cogs and sentiment. Different views of the card. Isn't this a beautiful steampunk card? 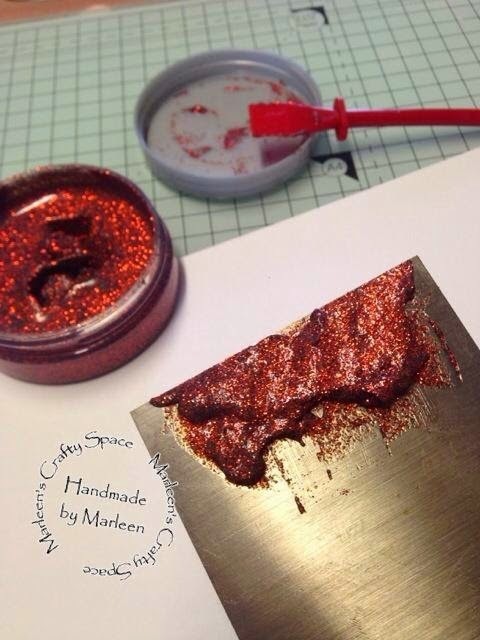 We do hope that you have enjoyed seeing Marleen's first tutorial and will leave a comment.